The zucchini or courgette is a summer squash. It belongs to the species Cucurbita pepo. It has developed into many varieties and hybrids. One of my friends once remarked “If you don’t have free zucchini, you don’t have friends that grow a garden” Although not always true (because we do sell lots of zucchini at the Farmers Market) zucchini is a prolific plant. If a family is growing a garden just for their own use usually one plant is sufficient to supply the need. Zucchini is extremely easy to grow. Zucchini, like most of the squash family, can be planted in hills or single rows. The plant gets very large, about 4 to 5 feet in diameter so it is necessary to plant them about 6 feet apart. 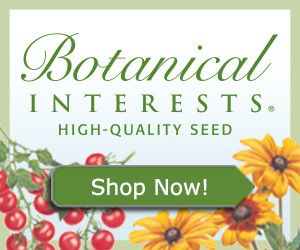 Plant the seeds about ¾ to 1 inch deep after all danger of frost. I start my Zucchini plant early in a green house, usually about the last week of March to first week in April. 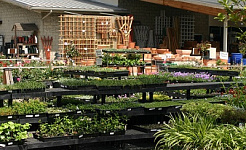 Plants are then ready to place in the garden about the middle of May. 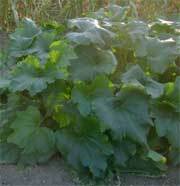 According to what I read, early as possible planting may deter some of the squash bugs. 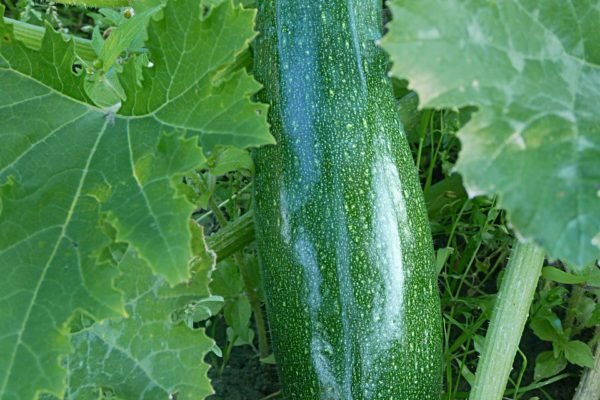 It may be possible to get some zucchini before the plant is destroyed by pests. Squash bugs and Japanese beetles are the worst pests that can beset your Zucchini’s. 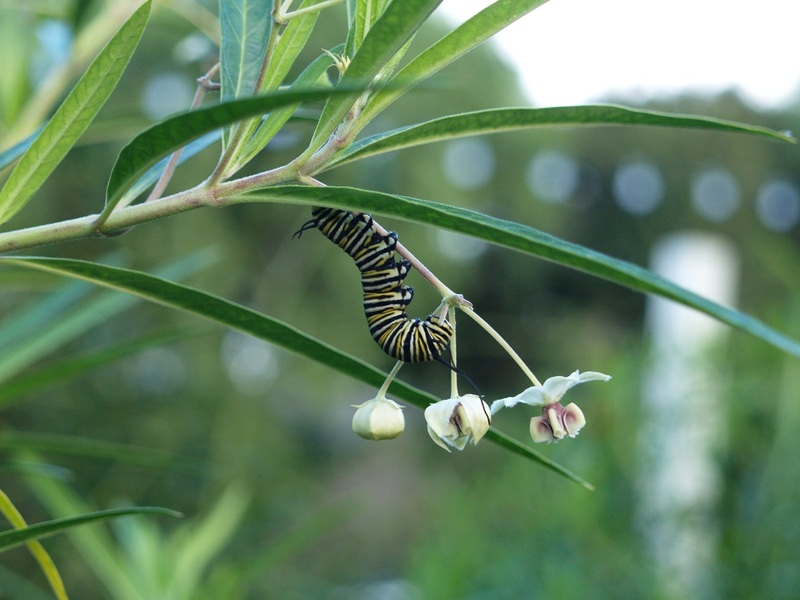 Companion planting and picking the bugs off are the only remedies at for organic gardeners at this time. WHAT DO ZUCCHINI PLANTS LOOK LIKE? Zucchini are a bush plant. Everything grows from a main stem. Pictured above is a young zucchini, pictured at left is a mature healthy plant. As the plant grows the center stem gets larger and by the time it is very mature is can be as large as 3 inches in diameter. The leaves are jagged and large extending from the main stem. Rarely does a zucchini develop a 'second' main stem. The only time that it looks like there is a second main is when the zucchini is in stress and it puts out a second stem at ground level. All the fruit are generated at the main stem. The zucchini has male and female flowers. The plant will usually have 3 male flowers for every female flower. The male flower is very easy to distinguish from the female flower. The male flower is on a very long thin stem about 3 to 5 inches long. In this picture you can see the male flower still on its' stem and just below that a stem that looks like something broke off of it. That 'broken' piece is actually where a male flower used to be. Male flowers will only bloom for a short time and then fall off. Don't be alarmed when you see dead blooms all around the plant. The female flower is on a short stem very close to the main stem of the plant and on a thicker the stem than the male. In the picture to the left is a new zucchini. Notice the flower still attached and the thicker stem very close to the main stem of the plant. This fruit pictured will be ready to pick in about 2 days. Once zucchini starts to put on veggies they will grow very fast. Within days of the female flowering the fruit will be ready to pick. Most people are accustomed to buying zucchini when is about 5 to 8 inches long and 3 to 4 inches in diameter. This is when the vegetable is at its' tenderest and ready to use for salads and frying. When you allow your vegetable to get too much larger it forms a tough outer skin and seeds on the inside. The very large vegetable is good for making zucchini bread and the seeds are usually removed before the vegetable is grated up. HARVESTING ZUCCHINI: Breaking the vegeteble off the thick stem often results in breaking part of the vegetable off the vegetable itself. It is better to use a by-pass pruner to cut off the plant at the thick stem area as shown in the picture.